Vicci Wardman is established as one of the most versatile violists of her generation. As a student at Chetham’s, she was a string finalist in BBC TV’s ‘Young musician of the Year’ competition. Whilst at the Royal Northern College of Music, as a multi award-winning student, Vicci was a founder member of the Sorrel Quartet, which made its debut in 1987. On leaving the quartet in 2000, she immediately took up the position of Principal Viola of the Philharmonia Orchestra. She spent seven years with the Philharmonia, performing with some of the world’s finest conductors and soloists, appearing twice as concerto soloist herself. Vicci was appointed as Principal Viola of the Royal Philharmonic Orchestra in 2010, leaving a year later to return to full time freelancing. She regularly performs as Guest Principal in a variety of other orchestras, such as the English Chamber Orchestra, Orchestre Revolutionaire et Romantique, London Sinfonietta, the BBC Welsh, BBC Scottish, the London Philharmonic, OAE, BBC Philharmonic and Oslo Philharmonic Orchestras. The Sorrel Quartet made many prize-winning recordings with the Chandos label and Vicci enjoyed a busy international career as part of the group. 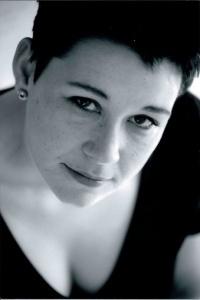 As an experienced chamber musician, Vicci has worked extensively with Hausmusik, London and the Nash Ensemble. She is currently a member of Mobius and violist in the critically acclaimed Eroica Quartet, whose interest in performance practise has led to various innovative projects in the UK and abroad. Vicci is also busy as a session musician in London and can be heard, as a soloist, on many film and TV soundtracks including scores by Murray Gold, John Lunn, Thomas Newton, James Horner, Ennio Morricone, and Abel Korzeniowski. As a teacher, Vicci was, for ten years, a senior lecturer at the Royal Northern College of Music and taught at Chetham’s Schools of Music for several years. After many years living in London, she returned as a tutor at the RNCM IN 2014. Vicci gives regular classes at the Royal College of Music and the Royal Academy of Music and teaches privately at her home in Ramsbottom, Lancashire. Vicci is currently Joint- Principal Viola of the Royal Liverpool Philharmonic Orchestra and is Principal viola of the John Wilson Orchestra.